Mouth of the San Bernard looking north on Oct 15, 2011 at high tide. A tug can be seen pushing a barge to the east (upper right of photo) on the ICW. 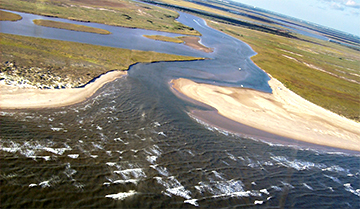 Mouth of the San Bernard looking north a week later at a lower tide. 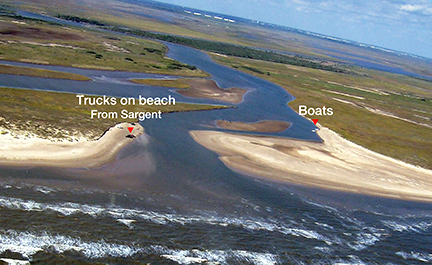 The two sand bars to the left and north of the boats shows large amounts of silting above the mouth.